Ahead of the grand product launch of the new Zenfone 3 series, ZenBook 3 and Transformer 3 in the Philippine market this August 14, ASUS fans in the country can get a chance to be part of the historic grand reveal and get all the exciting details about the local launch by visiting the official event site at www.Zenvolution.ph. In line with the local launch, ASUS Philippines will be giving the 1st 500 end-users & fans the opportunity to be part of the exclusive Zenvolution launch event if they register through the event microsite and participate in ASUS led online contests and offline activities. The lucky 500 end-users and fans will be part of the elite club of attendees to first get their hands on their choice of Zenfone 3 Deluxe, Zenfone 3 Ultra, Zenfone 3, ZenBook 3, Transformer 3 series and other new ASUS products that will be revealed during the Zenvotion launch event. Early registrations will have the chance to experience the power and sophistication of all premium products that will be revealed during the grand launch in August. "I’m very excited for all ASUS users and Zenfone enthusiasts. After much anticipation, they will get the chance to experience the agility, beauty and clarity of our flagship products. Those who will get the Zenfone 3 Ultra will enjoy the phone’s unrivaled performance while those who’ve been eyeing the Zenfone 3 Deluxe will get to see first the distinguished and desirable features of our premium phone,” Anvey Factora. The exclusive official launch event will also feature other fresh releases like the powerful ultra-sleek, ultra-slim ZenBook 3, and the 3-in-1 mobile PC Transformer 3 Series and many more. At the launch event, attendees will be treated to exclusive promos, prizes, giveaways and other exciting activities. Register now at www.Zenvolution.ph and be one of the first owners of the new Zenfone 3 in the Philippines. 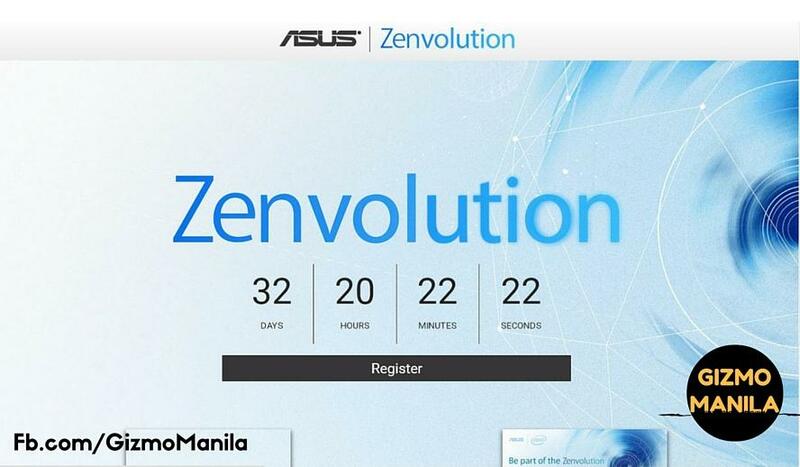 The countdown to Zenvolution Philippines starts on Tuesday, July 12, 2016. Tune into ASUS Philippines facebook page and Gizmo Manila for more information on local pricing and availability. Going on vacation this Holy Week break? Here’s how to transfer money to banks in less than three minutes. How to make summer worthwile with NimoTV. Samsung Unpacked: A70 and A80 devices. Gizmo Manila talks about the latest trend in world of technology such as gadgets Mobile and PC, gaming and other latest innovations.